The Science of Effective Weight Management – Part 2 – Mathematics | Eat Regularly! In earlier posts, we examined the biology behind weight management and learned a few important facts I think we should restate at this point before moving forward. Weight Loss: The result of a non-trivial negative Net Caloric Balance over a significant period of time. There is more than one way to induce a net-caloric-deficit. Successful weight loss tactics get you to pay attention to what you’re eating. "Metrics" are analytical measurements intended to quantify the state of a system. And there are a lot of different metrics you could use. Right off the bat, you can count carbs, protein, fat, and calories. And if you do a few moments of research, you can find a hundred others. That’s one of the major issues we have identified in the development of our weight management program: how to handle information overload. We have found the best results by focusing on the best measure of a diet’s progress, “Daily Rate of Weight Change”. 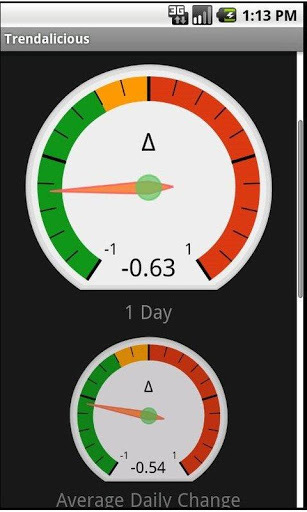 Using daily raw weight values, entered into our online computer system, we remove the noise and present your exact progress in the past 24 hours in an easy to understand format. Our proprietary weight tracking tool. That easy. The meter is pointing to the left, indicating weight loss. Now we can use that knowledge about how yesterday’s choices affected your weight to make some better choices today. And over the course of our program, you learn which choices result in the best sustainability and results for you.